Parents of troubled boys from Florida may have difficulty finding the correct program to fit their child’s needs, simply because there are so many options that claim to be the best and most effective. While group homes can be an effective solution for troubled teens, it is important to choose one that is established, accredited and safe. Liahona Academy is a residential treatment center that offers assistance to troubled boys from Florida and across the country. We combine a safe and consistent environment with the care and guidance of trained therapists, counselors and staff as a time tested way for teens to confront and overcome their issues, while gaining the right tools to combat their triggers and temptations in the future. For answers to your questions and a free consultation, call Liahona Academy at 1-800-675-8101 today. 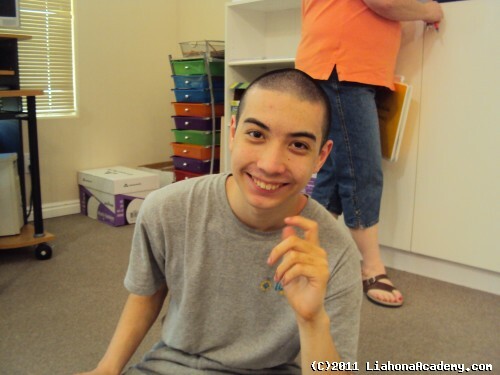 Why Is Liahona Academy's Therapeutic Program The Best Solution For My Difficult Son? Liahona Academy can offer great benefits and experiences to troubled boys from Florida. In addition to a structured schedule, we employ behavioral modification techniques to help each of our students make positive changes and learn how to communicate more effectively with peers and authority figures. The group homes that will provide more effective results create structured schedules with real life situations that help teens transition smoothly to a healthy home life. Participation in these activities is enforced by a 24 hour on site staff. A tried and tested program that has helped hundreds of boys improve and gain healthy confidence for a better life. One-on-one interaction between counselors, therapists and your son. We realize that each teen is unique and should be treated that way. Safe, secure and structured surroundings sought after by parents throughout the united states. A location ideal for the kinds of recreation therapy activities that are so helpful for healing boys developing confidence. Each individual season brings a new collection of activities. We have two decades of experience behind us that we draw on to help understand troubled teens and keep the concepts and therapy techniques we know work. Our staff is thoroughly vetted before employment each has a passion or a calling for helping troubled teens back on a good road with good skills and good contacts. We work to help our students understand and learn the behavioral expectations that should be met while living at home with their families by establishing the same rules and responsibilities they experience at home. Some of these include washing the dishes, planning and preparing meals, managing conflicts, and planning activities for other residents. Your son will gain life skills by living and interacting with their peers and benefitting from the help, support and empathy that only others in the same situation can provide. He will learn how to better handle conflict and accept responsibility for his actions. Liahona Academy can help correct many of the personal issues that teens struggle with in our world today. We allow our teens to pace themselves in our academic programs so they can balance their focus between academics and correcting the struggles in their lives that gotten out of hand. The professionally trained staff hired at Liahona Academy is dedicated to helping troubled boys who have lost themselves in their struggles. We are confident that we can help your troubled boy from Florida recover from his issues and get back on track to a healthy way of living. Residential treatment centers are one of the most effective options for struggling adolescents and we encourage parents to carefully consider Liahona Academy. For more extensive information, call 1-800-675-8101 today.